We are employment lawyers that represent victims of wrongful termination, sexual harassment, discrimination, retaliation, and other employee rights violations. Take back your power. Contact us now. We are employment lawyers who understand how important your job is to you and to your family’s well being, so we do what it takes to help you. First, we work to save your job and resolve the dispute. When that’s not possible, we negotiate a severance agreement. When that cannot be accomplished, we file your case, fight for the evidence that proves your case, then we show the jury how the employer broke the rules, betrayed you and how deeply you were harmed. We truly believe in the words written by this country’s founders – “We hold these truths to be self-evident, that all [people] are created equal, that they are endowed [with] certain unalienable rights, that among these are life, liberty and the pursuit of happiness.” We represent you – the people – because we know that those who seem least powerful need a warrior and that those who abuse others need to learn the lesson of accountability provided by our justice system. Through single plaintiff, multi-plaintiff and class action cases, we have obtained in excess of $86 million in settlements and verdicts for our clients. We have improved the working conditions for countless employees. We make a difference. You are not powerless. You just need someone to help you start justice. 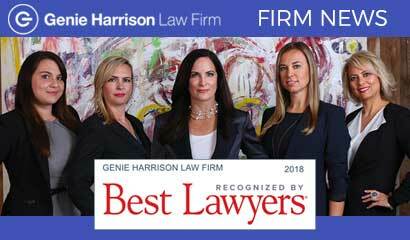 Trial attorney Genie Harrison has consistently been recognized for her accomplishments by prestigious, peer reviewed legal organizations. 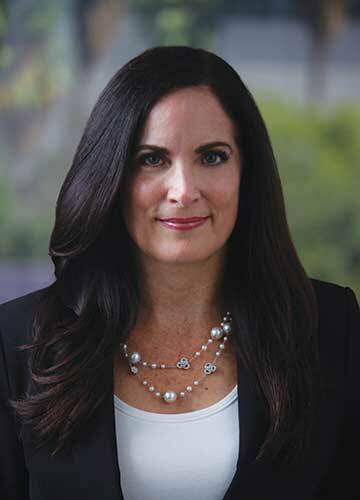 She has been named to Super Lawyers every year since 2009. 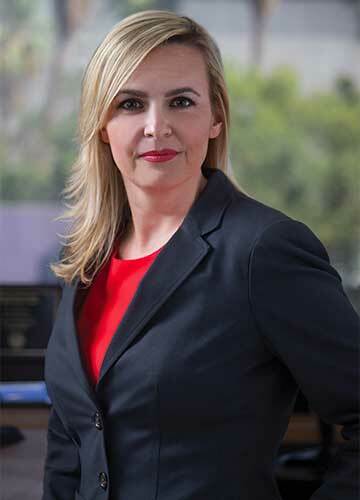 For four years straight (2016, 2017, 2018 & 2019) she was named to Super Lawyers “Best of the Best” list of Top 10 Super Lawyers in Southern California. Recently she was honored to have been named to the Top 100 Lawyers in California – across all categories of law – by the Daily Journal. If you are harassed at work, discriminated or retaliated against, sexually harassed, assaulted, or raped at work or outside of work, contact us today.